When making a recipe, it can get confusing when something asks for a quart or a liter. I don’t know about you, but I’m used to cooking and baking strictly using cups and tablespoons; anything else gets my head spinning. Of course, you can always whip out an old recipe book and turn to the index, or you can try doing a quick Google search for your answer. But why not make things a little easier for yourself and keep a cheat sheet on hand so you never have to look too far? 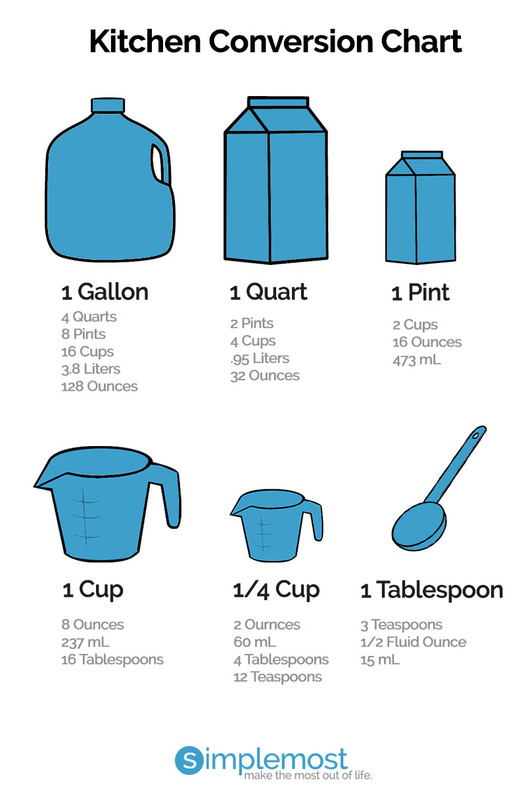 Print it out, stick it on your fridge and use this nifty guide to kitchen measurement conversions. Who knew that a 1/4 cup was equal to 4 tablespoons? This information is definitely handy.